Lea, this adorable Dreamy Eyes stuffed lamb, is ready for hours of fun and adventure along with lots of cuddling and snuggling. 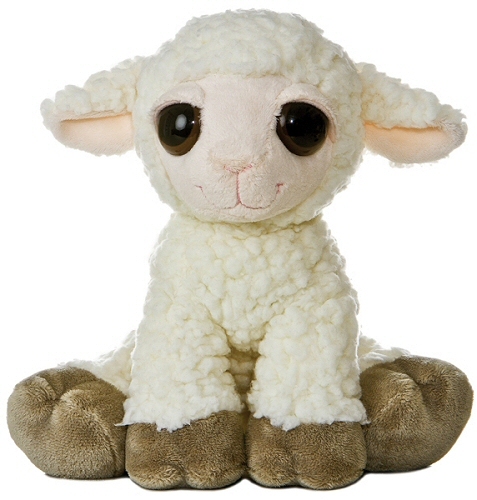 Plush Lea Lamb has soft cream wooly fur, gray-brown hooves, cream face and inner ears, and big sleepy brown eyes in an oh-so-sweet smiling face. Standing, sitting, or just flopping down, there's no need to worry about what to feed this stuffed lamb... this plush lamb's huggable tummy feeds only on love.